They have amazing new flavors every month. Kupcakes etc also make GIGANTIC cupcakes that serve 8-10 people. All their cupcakes are their signature size. le. All flavors vary everyday and according to orders. Keep checking for their daily schedule!! I love hearing about new cupcake bakeries and thanks so much for sharing your story about Kupcakes etc. 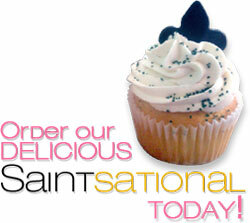 If anyone else in New Orleans has popped in and tasted a Kupcakes etc cupcake, I would love to hear from you.